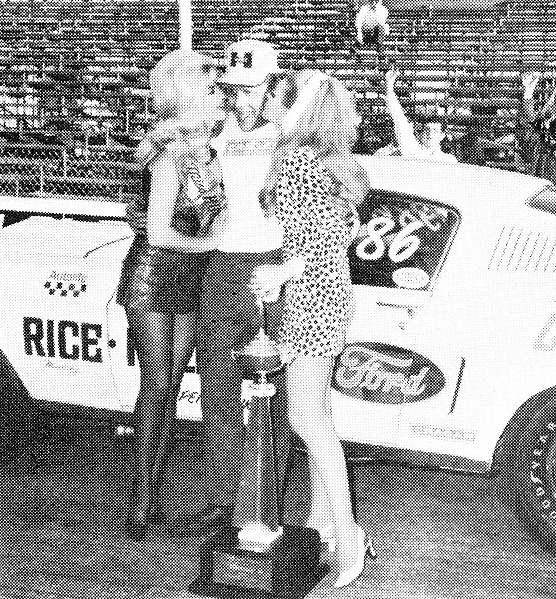 After the win the trophy found it's way to Ford Headquarters in Dearborn, MI, where it stayed near the desk of Principal Engineer Bill Barr for several years. 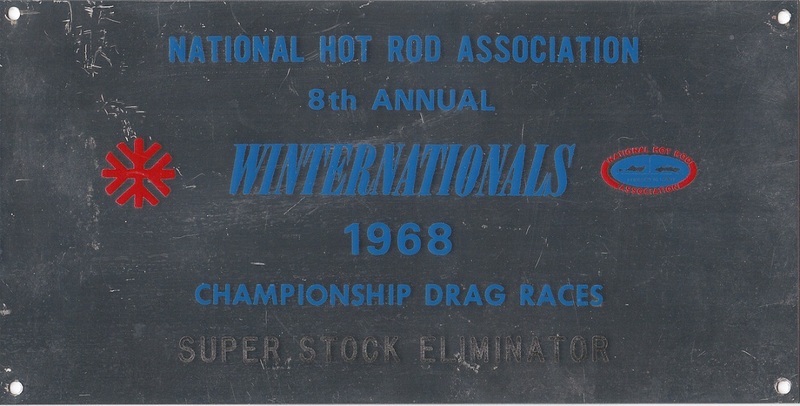 In June, 1973, the plate was removed from the trophy and the trophy was given to Ford engineer Bob Snider's son to celebrate his first drag racing victory at Detroit Dragway while piloting a one-of-a-kind 302 Cobra Jet Maverick. The plate remained in Bill's possession until December, 2012, when Bill donated it to the Mustang 428 Cobra Jet Registry. We hope to reunite the plate with the car in the near future.